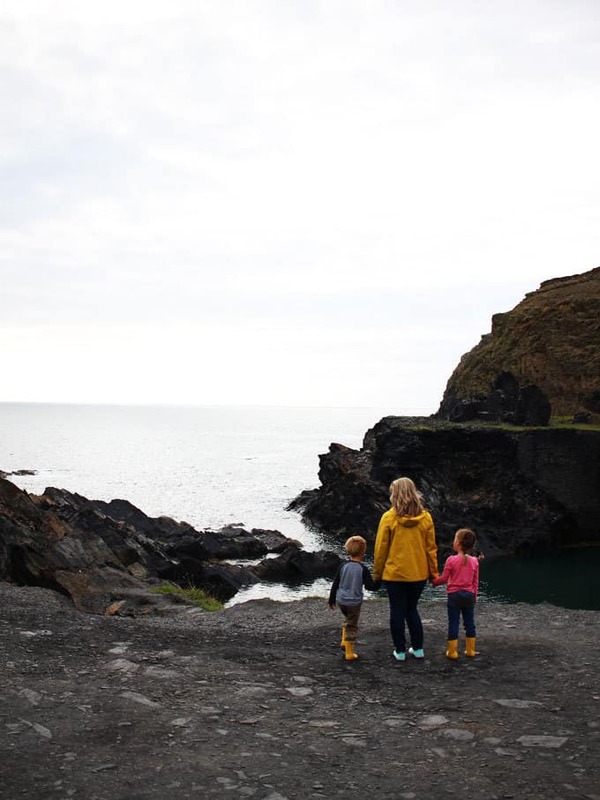 48 Hours in Pembrokeshire with kids. 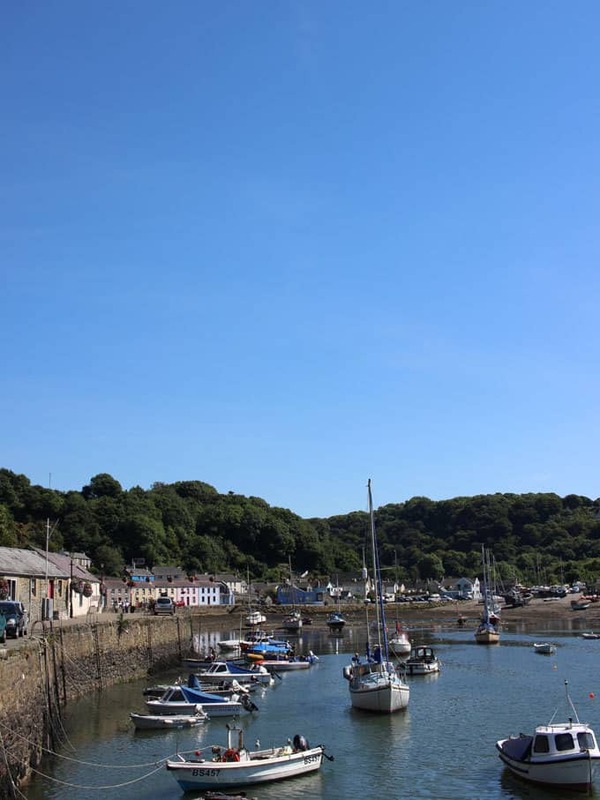 Beautiful coastlines, beaches, lighthouse and views, with amazing food and blue skies. What more could you want for a holiday? Last month, Coastal Cottages invited us to visit one of the newest properties to join their portfolio; Ty Menyn, in Mathry, Pembrokeshire. If you follow me on Instagram, you might have seen this photo of the ‘Summer To Do List’ that G&H had each made. 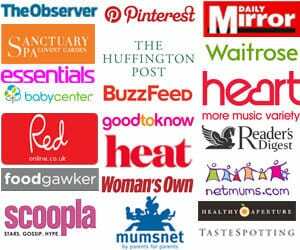 The end of the holidays was drawing near and we still had quite a few things on G’s list to tick off. 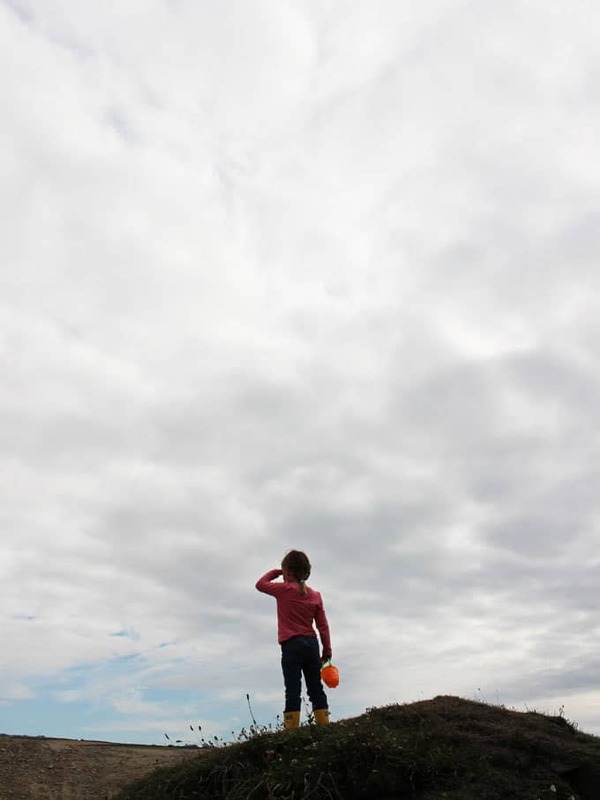 Flying a kite? 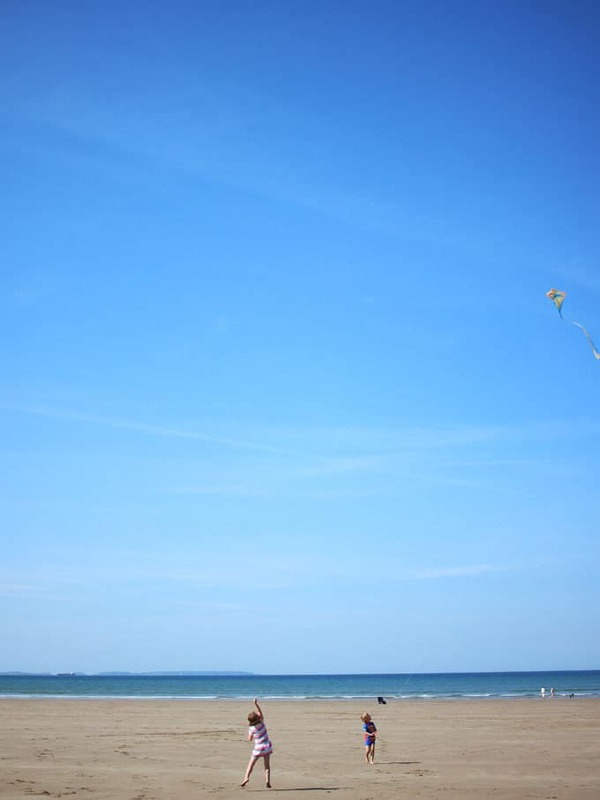 Go to the beach? Drive somewhere and explore? 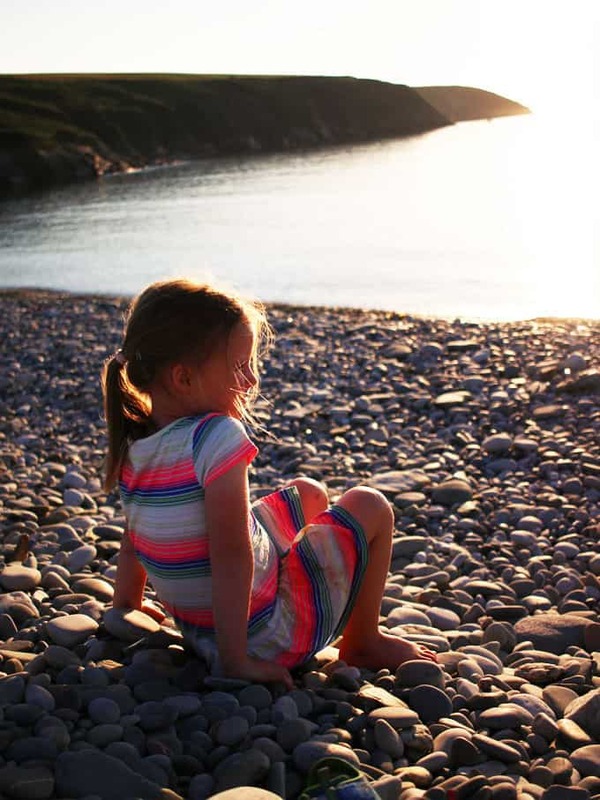 A visit to Wales was the answer to the lists – hurrah! 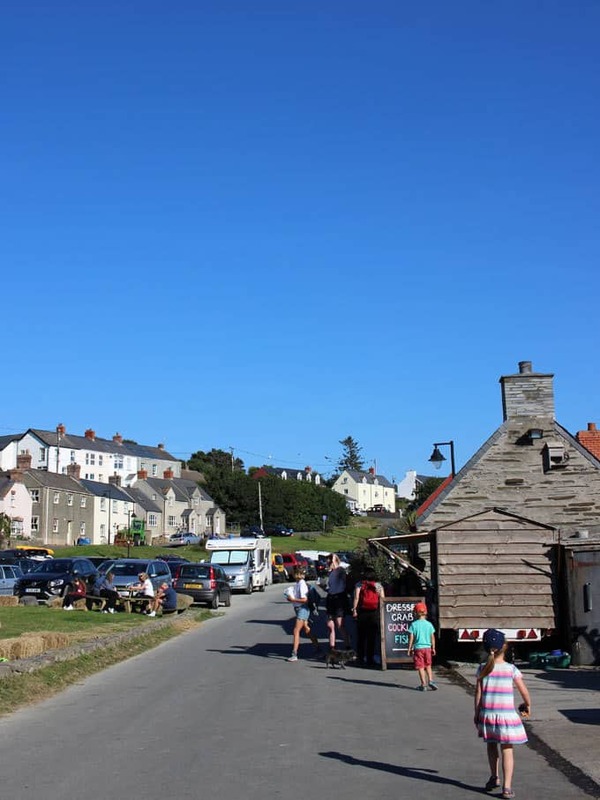 Coastal Cottages have over 500 hand picked cottages dotted along the stunning coast line. 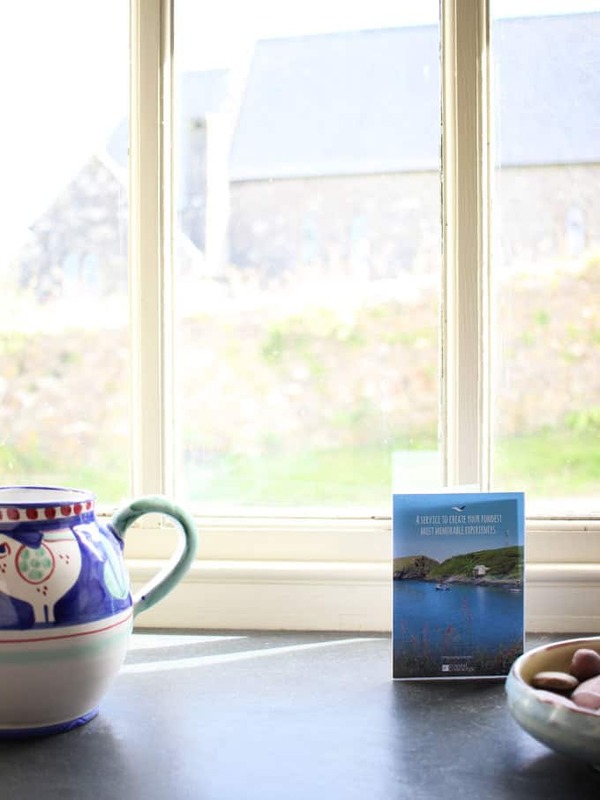 Ty Menyn is a converted detached stone barn which was a buttery dating back to 1866. Right in the heart of the village of Mathry only 2 miles from the coast, it was quite a find. 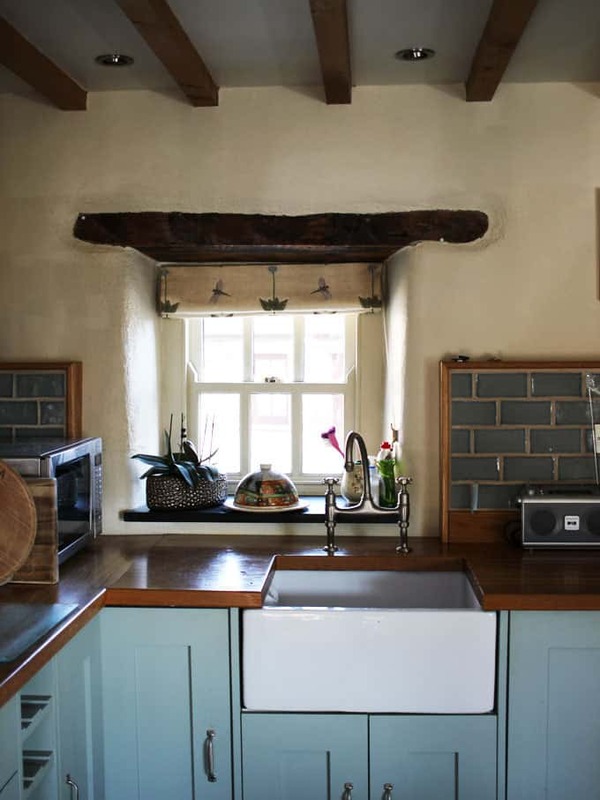 The cottage has three beautiful bedrooms and an airy open plan living room/ kitchen. There’s lots of thoughtful, family touches, like a well stocked utility room, perfect for sandy clothes. Spare beach towels, windbreaks and a dog bed in case you’re bringing your pup. We spent our first evening exploring, we’d hopped into the car and ended up at The Blue Lagoon. We walked along the rocky coastal path and breathed in the sea air, whilst watching people leap into the stunning bright blue waters of the lagoon. After the exciting viewing, we stopped at The Sloop, at Porthgain on the way back for supper. 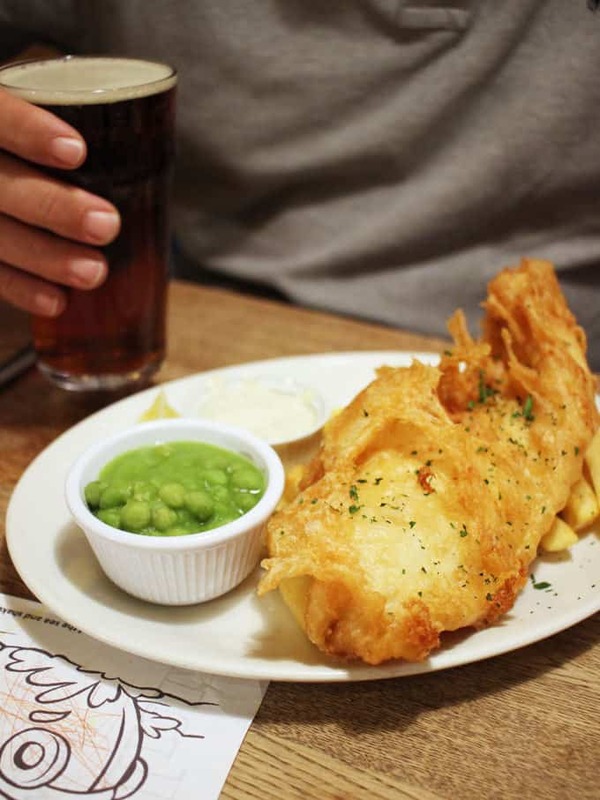 Fantastic fish and chips, colouring for the children and amazing ice cream sundaes. First evening in Wales, a definite success. 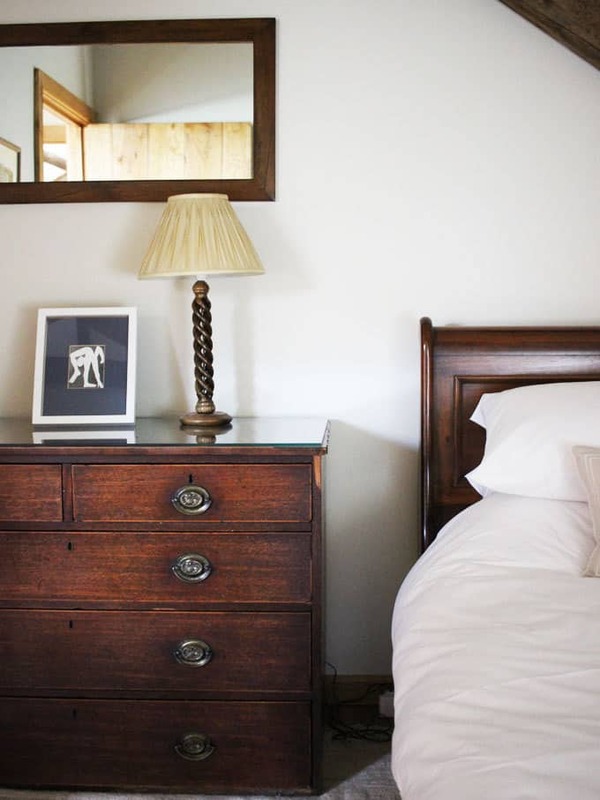 We headed back to our Coastal Cottages home for a restful night in deliciously comfy beds. Early the next morning we headed to Newgale Beach. This is, without doubt, one of the most beautiful beaches I’ve ever visited anywhere in the world (including the Caribbean and Australia!). Acres of sweeping soft, pale sand, stretching as far as the eye can see. Blue skies and miles of space. 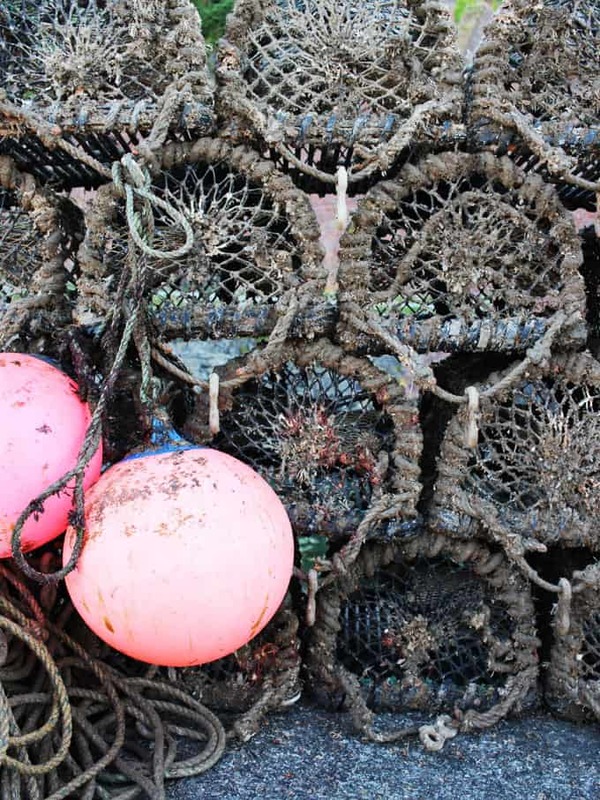 I stood at the top of the beach, in the early morning sunshine, laden down with buckets and spades. I looked down at the children stripping off within 5 minutes of arriving, full of total joy and had a little sob. I know, I’m an over emotional fool, but it was one of the most perfectly content moments I’d had all year. 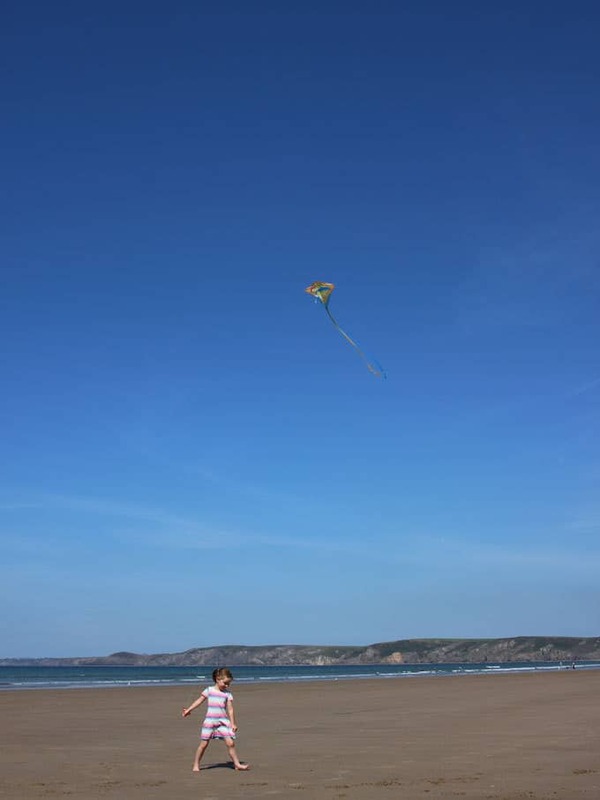 We spent one of the happiest days of the summer, building sandcastles, running in and out of the sea, flying kites, eating a picnic and laughing. Laughing so hard that my face ached. That’s what summer family days are all about isn’t it? I did stop laughing briefly when H dumped a bucket of water unexpectedly on my back… She’s still talking about this as one of her favourite moments from the summer though! After hours on the beach, we decided to pack up and do some more exploring by car. 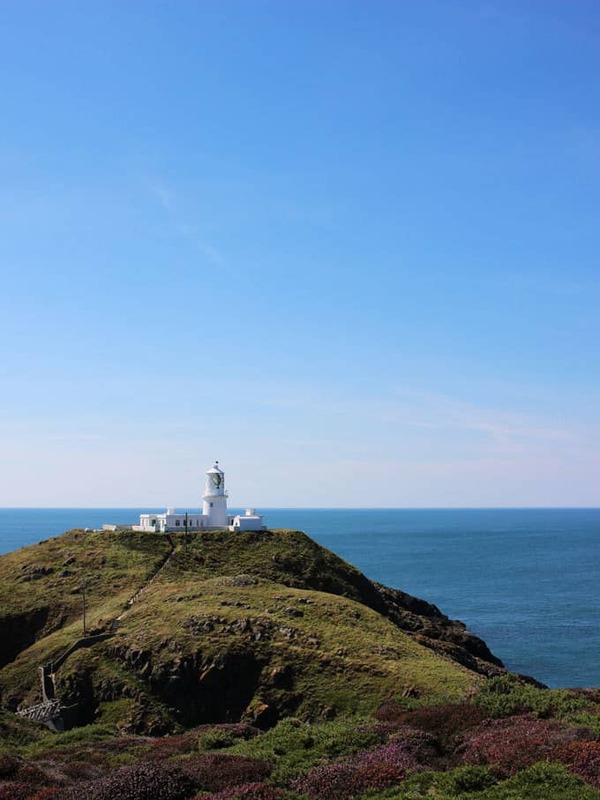 We popped to see the pretty houses and harbour of Fishguard before discovering the lighthouse at Strumble Head. The lighthouse isn’t open to visitors, but we had a beautiful walk in the sunshine, through the heather to get a closer look. There were one or two couples quietly enjoying the sunshine and the view, taking it all in. Meanwhile G&H were interested in clambering over the rocks terrifying me. When I suggested that they sit quietly and enjoy a moment of peace, they looked at me as if I’d gone crazy of course. Life with 4 year olds, never quiet! They did sit for a second or two and look for ships though, that’s the photo at the top of this post. It’s such a special place and view, definitely worth the winding road to get there. After we’d finished supper, we stopped at the gift shop just on the village green. The lady in the shop was so charming, if you’re there, please stop in for an ice cream. It’s also worth visiting to peek at the amazing map on the wall. It’s a regular map of Wales, but they’ve annotated the coastline with advice and tips about the best places to go. Genius! There was a ball game going on with lots of village kids, we sat on the hay bales and watched whilst eating our ice creams. When we’d finished, they welcomed our two in to play with them. More laughter and those precious childhood moments of friends made in a second or two. I so desperately didn’t want that evening, and the trip itself, to be over. So after supper, we decided to have one last little explore. We drove along the coast until we came to a track signposted for Abermawr beach. Why not we thought? We got out of the car and followed the footpath down to this hidden gem. Oh what a find. The tide was so high that the beach was all pebble. In the golden light of the evening there was a magical glow as we skimmed stones and sat and watched the sunset. There were so many memorable moments from just a couple of days in Pembrokeshire, but this is certainly one of them. It was absolutely stunning. We quietly drove back, salty haired and windswept, to our wonderful Coastal Cottages retreat for our last night. It was a really special few days and we can’t wait to return next summer. 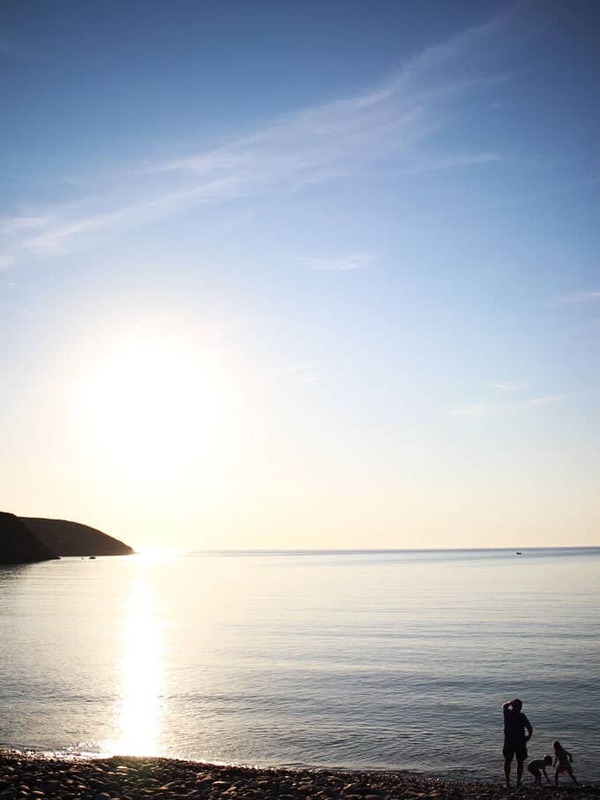 Pembrokeshire, you’ve stolen our hearts. 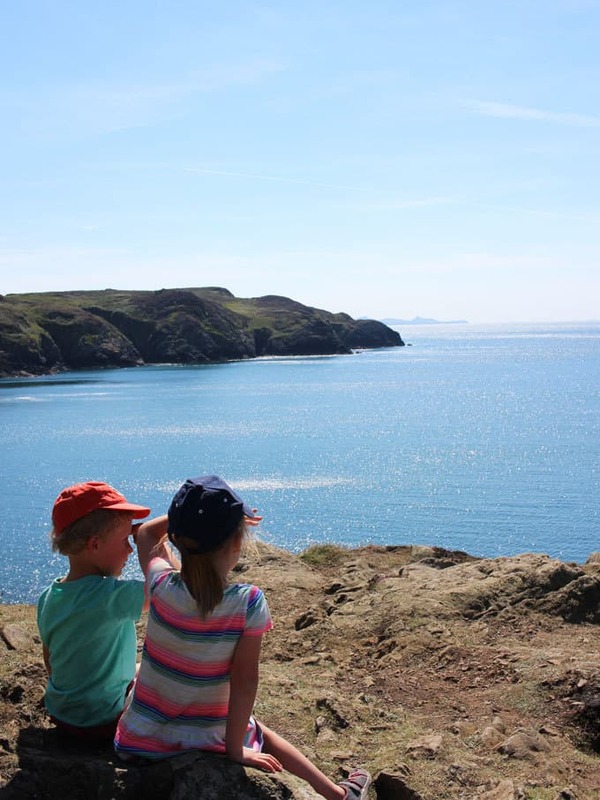 If you’d like to visit Pembrokeshire with kids, I’d highly recommend Coastal Cottages. 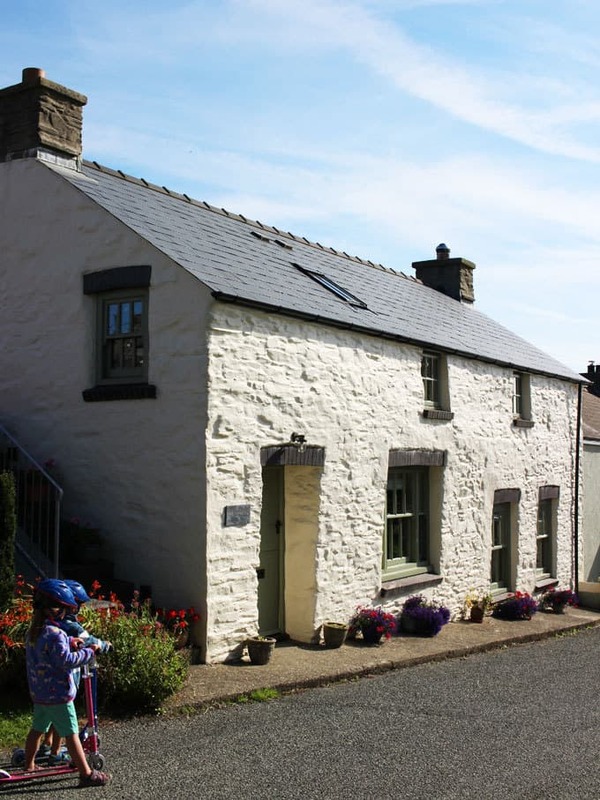 To stay in one of over 500 hand picked cottages dotted along the stunning Pembrokeshire Coast call Coastal Cottages of Pembrokeshire on 01437 765765 or visit www.coastalcottages.co.uk. It looks absolutely beautiful – those beaches look like they shouldn’t belong in little old England! I really enjoyed watching your vlog of this too – the kiddies look like they had such a great time! That’s because those beaches are in little old Wales, Jenny. But yes – a great place for long weekends and family holidays.